Hopefully you were able to join us last year for one of the most enjoyable fundraising opportunities of the year. 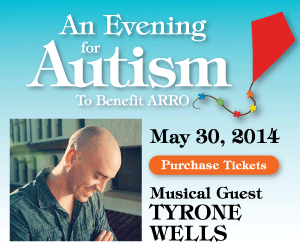 Whether you were or not, it’s time to put this year’s “An Evening for Autism” on your calendar. This year’s event will be held on Friday, May 30th at Flex Space in NW Portland. Don’t wait, tickets are selling fast! Plus, if you purchase your tickets before May 10th you can take advantage of the early bird special. But wait, there’s more! This year’s special musical guest will be the one and only Tyrone Wells, composer, musician, and resident of our neighbor state to the north. 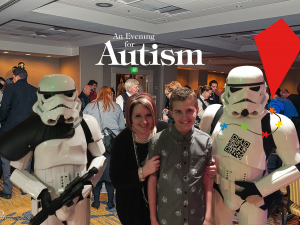 You’ll also have the opportunity to hear from members of the Autism Community, learn more about ARROAutism, bid on great auction items like (sssshhhh – don’t tell anyone) a Sunset dinner cruise for 4 or a 7 night Huntington Beach vacation, or any of a number of other great auction opportunities. Oh, and, did we mention the raffle?